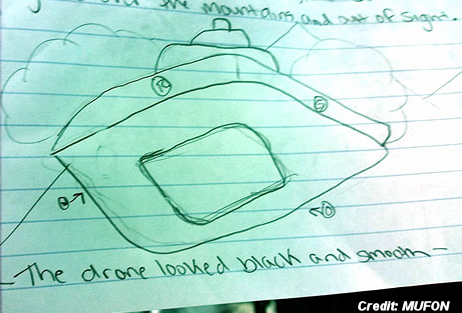 An Alaskan witness at Old Harbor reported watching a UFO gliding and hovering around the boat harbor area beginning about 8:15 p.m. on January 14, 2016, according to testimony in Case 74166 from the Mutual UFO Network (MUFON) witness reporting database. The reporting witness and her daughter both made statements on what they saw. The reporting witness was driving to the local gym to pick up her daughter and two friends at 8:15 p.m. The witness stated that the object was flying pretty fast and she lost sight of it and continued driving. 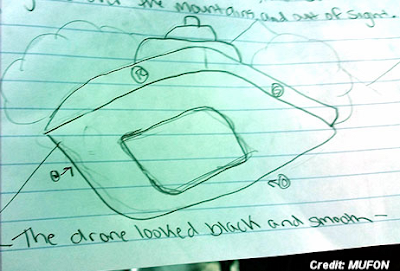 The witness searched the sky above the school and caught sight of the blinking lights with three colors.